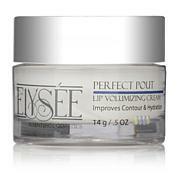 Get ready to achieve soft, luscious lips! 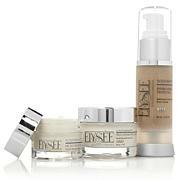 Whether you have thin, dry lips or are just seeing the visible signs of aging around your mouth, this beauty treatment kit offers a solution. 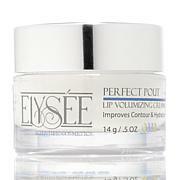 You'll love how the volumizing lip cream and skin resurfacing complex work hand-in-hand to help give you the perfect pout you've always longed for. Maxi-Lip and Volulip are used under authorization of Sederma, Inc. Ingredients: Water, Cetyl Alcohol, Yeast Extract, Soy Amino Acids, Hydrolyzed Soy Protein, Dimethicone, Cocoa Seed Butter, Lecithin, Urea, Tocopherol Acetate, Algae Extract, Hydrolyzed Soy Protein, Soy Amino Acids, Yeast Extract, Glutamine Peptide, Glutamine Amino Acids, Sodium Hyaluronate, Glycerin, Butyrospermum Parkii (Shea Butter), Stearic Acid, Propylene Glycol, Glyceryl Stearate, PEG-100 Stearate, Acai Fruit Extract, Pomegranate Fruit Extract, Magnesium Aluminum Silicate, Polysorbate 20, Diazolidinyl Urea, Methylparaben, Propylparaben, Aloe Barbadensis Leaf Juice, Allantoin, Lavandula Angustifolia (Lavender) Oil, Vanilla Planifolia Fruit Oil, Sodium Carboxymethylcellulose, Tetrasodium EDTA, Citric Acid. Ingredients: Water, Butyrospermum Parkii (Shea Butter), Chondrus Crispus (Carrageenan) Extract, Chondrus Crispus Whole Plant Extract, Sodium Hyaluronate, Pseudoalteromonas Ferment Extract, Hydrolyzed Wheat Protein, Hydrolyzed Soy Protein, Tripeptide-10 Citrulline, Tripeptide-1, Lecithin, Xanthan Gum, Phenoxyethanol, Butylene Glycol, Carprylyl Glycol, Glyceryl Stearate, PEG-100 Stearate, Glyceryl Stearate, PEG-100 Stearate, Cetyl Alcohol, Decyl Oleate, Cetearyl Ethylhexanoate, Sorbitan, Isostearate, Portulaca Pilosa Extract, Sucrose Cocoate, Palmitoyl Tripeptide-38, Palmitoyl Oligopeptide, Sorbitan Isostearate, Tribehenin, Octyl Palmitate, Dipalmitoyl Hydroxyproline, Algae Extract, Pullulan, Hydrolyzed Rice Protein, Carbomer, Glycerin, Propylene Glycol, Diazolidinyl Urea, Methylparaben, Propylparaben, Triethanolamine. I have used this for a number of years and I continue to think it keeps my lips plumper, especially for a 70 year old, plan to always use it. Only been using luscious lips for a week am and pm and my shrinking 70 year old lips are really looking better and around my lips are looking better the little lines above and under lips are smoother and lines aren't as prominent.Love the way the lip cream feels on my lip, refreshing and cool. 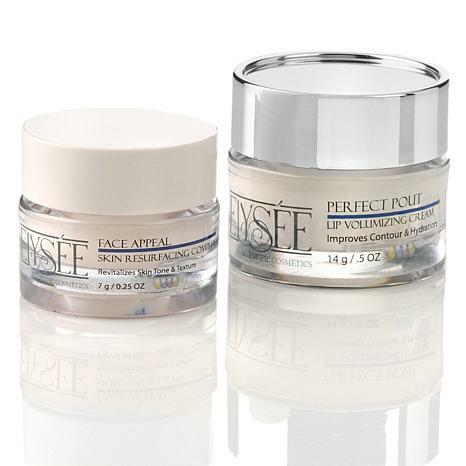 I have been using this for several weeks, I am 54 yrs young...& had noticed my lips looking thinner, so brought it not really knowing if it would help, but I can happily say it has made a noticeable difference, & when I remember to place it around my mouth area then yes it does smooth out lines, even a deep one above my upper lip. My lips are looking fuller & as someone who stays as natural as possible......that's good enough for me :) I would happily recommend this to others. I am so pleased with both of these products! They are exactly as advertised and so much more. I will definitely be reordering. Elizabeth Arden Prevage® Anti-Aging Skincare & Makeup Set with Bag What It Is Pamper skin and perfect your look at home or on the go with this set that packs away in a smart cosmetics bag. What You Get .08 fl. oz. Beautiful Color Bold Liquid Lipstick - Luscious Raspberry .17 fl. oz.